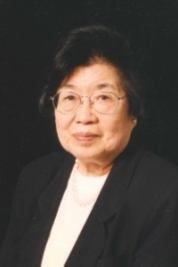 SAN FRANCISCO — Masako Martha Suzuki, who generously supported many Japanese American community organizations and causes over the years, passed away peacefully at her home surrounded by her loving family at the age of 90 on Feb. 16. Born on Aug. 28, 1921 in San Francisco, she was enrolled in classes at UC Berkeley when the U.S. declared war on Japan in 1941. During World War II, she and her family were forcibly removed to the Tanforan detention center in San Bruno and then to the Topaz, Utah concentration camp along with other Japanese Americans from the Bay Area. Suzuki was allowed to leave Topaz and complete her degree in Minnesota during the war, then returned to the Bay Area to accept a position at UC Berkeley as a microbiologist. She often reflected that her work at Cal provided some of the happiest times of her life. She left Cal and went to work at the Takahashi Trading Company, which her sister and brother in-law, Tomoye and Henri Takahashi, started after the war. Together, they turned the company into one of the most successful Japanese import and wholesale and retail companies in the United States. She married Risaburo Suzuki in 1960 and lived and worked in Japan for five years with her husband before returning to San Francisco. Her husband passed away in 1983. Although many of her friends knew Suzuki as an astute businesswoman, investor and collector and admirer of Japanese culture and art, she also had a great passion for purchasing unusual cars. She often claimed that she inherited this passion from her father. Throughout her life, she owned about every collector car available. Her last car was a limited-model BMW that took five years to build and could go up to 180 miles per hour. Just a few months prior to her passing, she still loved to drive her car 90 to 100 miles down the freeway. Suzuki’s legacy will be continued through her generous gifts to many local Japanese American organizations, the Asian Art Museum, Stanford University, UC Berkeley, the Morikami Museum in Florida, the Japanese Cultural and Community Center of Northern California, and Christ United Presbyterian Church. She also helped to establish The Henri and Tomoye Takahashi Charitable Foundation. Through her philanthropy, she helped change and improve the lives of thousands of people. She always believed that it is not about how much money you have but rather what you can do to make a difference in people’s lives. In 2010, Suzuki was awarded the Order of the Rising Sun, Gold and Silver Rays from the government of Japan for her contributions toward improving U.S.-Japan relations. She is survived by her only sister, Tomoye Tami Takahashi; niece, Masako Takahashi; nephew, Norman Takahashi; and sister-in-law, Setsuko Suzuki of Tokyo. A memorial service is planned for Saturday, March 10, at 3 p.m. and is open to friends and acquaintances. Contact Masako Takahashi for details at (415) 577-5228 or [email protected] In lieu of flowers, contributions can be made to either JCCCNC or CUPC.